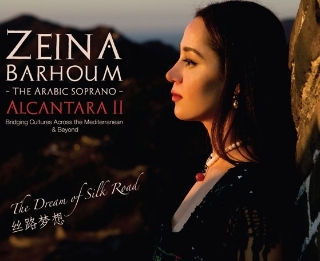 Zeina Barhoum, a well-known Jordanian soprano, launched her new album Alcantara II - Zeina in China on April 5 at the Al Hussein Cultural Center in Amman. South Africa will hold a benefit concert in May aimed at assisting cyclone Idai survivors in the three Southern African nations, Arts and Culture Minister Nathi Mthethwa said on Tuesday. A concert marking the 70th anniversary of the founding of the People's Republic of China (PRC) was held in Kiev on Tuesday with the participation of artists from China and Ukraine. 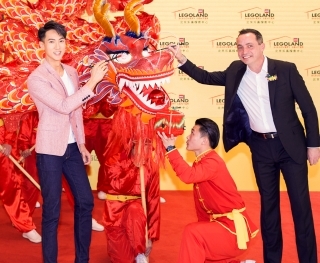 The much-anticipated Legoland Discovery Center Beijing opened on Wednesday, with popular Bruneian singer and actor Wu Chun serving as promotional ambassador. Lang Lang brought his new album Piano Book on Tuesday to share his thoughts on piano playing and music education. At Egypt's renowned Cairo Opera House, a Chinese musical band played traditional Chinese and Egyptian music on Monday, winning applause of the audience. Singer of Iron Maiden group Bruce Dickinson received on Saturday an "Honorary Citizen of Sarajevo" award for a concert performed during Bosnia and Herzegovina's (BiH's) 1992-1995 war, local media reported.